Unown N in game: 1,053 Who? Important notice! Pokemon Unown N is a fictional character of humans. 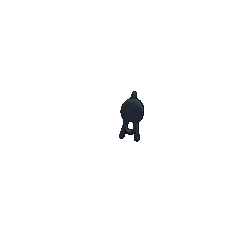 Unown (Japanese: アンノーン Unknown) is a Psychic-type Pokémon introduced in Generation II. While it is not known to evolve into or from any other Pokémon, as of Generation III, Unown has 28 derivative shapes, chronicled in the Unown Mode in Generation II and the Unown Report in HeartGold and SoulSilver. There are 26 Latin alphabet characters, plus ? (question mark) and ! (exclamation mark) introduced in Generation III. In Generation II, its shape is determined by its individual values; in Generation III, it is determined by its personality value; from Generation IV onward, it is determined by a separate form identifier. Unown is a flat, thin Pokémon shaped like an eye with appendages that make it resemble a letter or a punctuation mark. It is entirely black, except for its white sclerae. 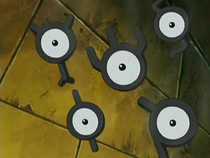 All twenty-six alphabetic forms of Unown have fully open eyes while the two punctuation Unown have half-closed eyes. Though each of its forms has a counterpart in the Latin alphabet, Unown is said to resemble ancient writing and hieroglyphs. It is a mystery whether Unown predates or postdates written language, and therefore which one is based on the other. The Pokédex and Professor Oak's research disagree on whether Unown communicates using electromagnetic waves or telepathy. Either way, it can be detected by the Pokégear radio, which interprets it as the melody of the Azure Flute. It is said that an "odd power" emerges when more than one Unown come together. In the anime, it is capable of reading the thoughts of other life forms. Great numbers of Unown are capable of distorting the reality to suit the dreams and wishes of whoever is in control of the Unown. However, they can only do this when more Unown are present, so it could be a shared effort rather than an ability unique to each Unown. Unown is an extremely rare Pokémon that lives in its own dimension and rarely ventures outside. 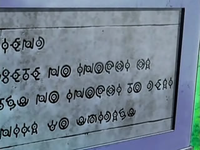 When it moves to the Pokémon world, Unown tends to stick to walls like engravings of ancient texts or orbit other Unown. Unown play a large role in the third movie, composing the illusions which drive the plot. 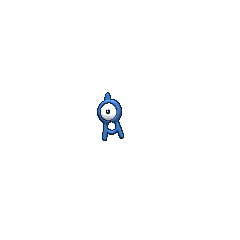 Because of their very timid and careful character, Unown do not want to go out to the external world. Unown have the power to perceive the feelings of other creatures (including human beings). Unown communicate with each other over electromagnetic waves but cannot use telepathy. Given all this, Unown are still classified as a species of Pokémon, as opposed to any other sort of creature. An Unown fell out of the Unown dimension in Address Unown!. After it was healed by the group, it helped defend against Team Rocket and its mind merged with that of Ash's Larvitar so that the group could help it to address its inner pain. In the dub, Dawn reads it as "When every life meets another life, something will be born". Many Unown appeared in Journey to the Unown!, along with the tablet from Top-Down Training. 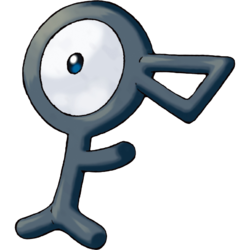 A Mirage Unown G appeared in The Mastermind of Mirage Pokémon. Multiple Unown also made a brief appearance in The Rise of Darkrai fleeing from Dialga and Palkia in a different dimension. Multiple of them also appeared in the opening of the movie. Multiple Unown appeared on a stone tablet in Pokémon Mystery Dungeon: Explorers of Sky - Beyond Time & Darkness. EP263 Unown Ash's Pokédex Unown, the Symbol Pokémon. Unown are said to have existed since ancient times. There are many in form and shape but little is known about this mysterious Pokémon. DP060 Unown Dawn's Pokédex Unown, the Symbol Pokémon. Unown use telepathy to communicate with each other. Many different shapes of Unown have been discovered. Unown first appeared in Into the Unown at the Ruins of Alph. During a battle with Team Rocket, Gold has his Sunbo use Flash, accidentally awakening the Unown from their slumber. Angered, the Unown retaliated on the Team Rocket Elite Trio, defeating them. Bugsy later returns to study the Ruins further in Hurray for Heracross, where he captures an Unown G and gave to one of his colleagues. Later as he searches for Suicune he finds two chambers with Unown markings. Using his device to translate them, they read the following. Three Unown appeared in a flashback in Raising Raichu, being the N, G and U forms. In the FireRed & LeafGreen chapter, Sird gains the control of a small army of Unown after awakening them in the Tanoby Ruins. She initially uses them as a distraction against Lorelei, allowing her to defeat the Elite Four member. Sird later uses them to impede the progress of Red, Blue and Green as they head to the Trainer Tower. Also, two Unown of the ! and ? forms followed Giovanni to Birth Island to relay his successful capture of Deoxys back to the Team Rocket Warehouse. In the Diamond & Pearl chapter, a D and P Unown befriended Diamond, Pearl and Platinum in Solaceon Town. The two enlisted the help of the Pokédex holders to free their friends from a chamber in the Solaceon Ruins. Later, they helped battle Team Galactic at Veilstone City. In the HeartGold & SoulSilver chapter, a massive group of Unown were spawned at the Sinjoh Ruins when Arceus breed Dialga, Palkia, and Giratina. When one Unown is released from a Poké Ball, it will fly off the screen. It then returns with a large swarm, similar to what Beedrill did in the original Super Smash Bros. The only difference is that Beedrill only attack from left or right while Unown can come from any direction. Any opponent caught in this barrage is damaged and juggled. There are also a number of Unown Poké Floats featured in the Poké Floats stage. In the second half of the stage's cycle, numerous Unown fly across the screen. Towards the end of the cycle, staying on the stage relies on hopping between the Unown. These Psychic-type symbol Pokémon resemble ancient hieroglyphics found on rocks, a resemblance that's said to be more than superficial. Quite a few different shapes of Unown have been confirmed, and it's believed that each type has unique abilities. These enigmatic Pokémon can be found in the Ruins of Alph. Their shapes look like hieroglyphs on ancient tablets. It is said that the two are somehow related. Its flat, thin body is always stuck on walls. Its shape appears to have some meaning. Because different types of Unown exist, it is said that they must have a variety of abilities. This Pokémon is shaped like ancient writing. It is a mystery as to which came first, the ancient writings or the various Unown. Research into this topic is ongoing but nothing is known. This Pokémon is shaped like ancient text characters. Although research is ongoing, it is a mystery as to which came first, the ancient writings or the various Unown. 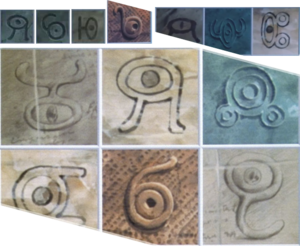 Shaped like ancient writing, it is a huge mystery whether language or Unown came first. They seem to communicate among each other telepathically. They are always found stuck on walls. When alone, nothing happens. However, if there are two or more, an odd power is said to emerge. Moves marked with a superscript game abbreviation can only be bred onto Unown in that game. 51%-100% HP What am I, you ask? Level up I have leveled up. Can reset your opponent's disruption counter to maximum. V W X Y Z ! ? 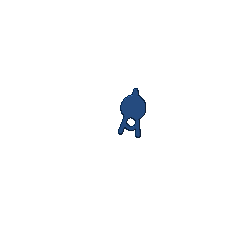 For other sprites and images, please see Unown images on the Bulbagarden Archives. In Spell of the Unown: Entei, Professor Oak had some pictures of Unown on his computer which have never appeared in any other media. Some resemble Greek alphabet letters, particularly σ (lowercase sigma), Σ (capital sigma), Π (pi), and Ω (omega). The top left large image also resembles the Greek Ȣ (ou). Others resemble the Cyrillic letters ю (yu) and б (be). The Unown in the top-middle large image resembles the Cyrillic я (ya). If a player does not have Unown's Pokédex data on a Generation II game when in Oak's lab in Pokémon Stadium 2, Unown's Pokédex number is listed as 252 instead of 201. This happens regardless of which Pokédex display mode is selected. Unown is the only Pokémon with a base stat total of 336. Unown currently is represented in the Trading Card Game by the most cards of any Pokémon, at 87 unique cards. Unown has the most officially recognized alternate forms of any Pokémon, with a total of 28. Unown is the only Generation II Pokémon that has not been featured in a Ranger series game. Due to Unown's letter and Shininess both being determined by IVs in Generation II, Shiny Unown will always be either an I or V in these games. Despite Unown being able to use TM10 in Generation VI, it still cannot do so legitimately because it will always already know Hidden Power. 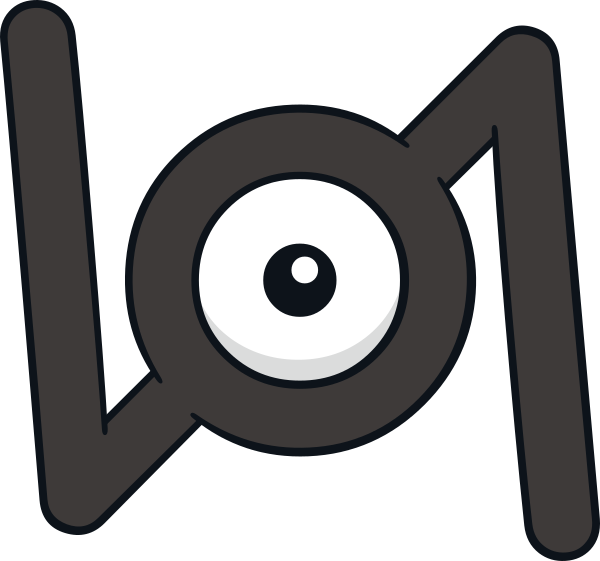 Unown is the only Pokémon in the Sinnoh Pokédex (that is not a Legendary or Mythical Pokémon) not used by any Trainer in Pokémon Diamond and Pearl. Their appearances are corruptions of the modern Latin alphabet, as well as the exclamation mark (!) and the question mark (? ), and the G form of Unown is based on a double-story lower case G. The shapes of the Unown are used like graphic symbols in the Pokémon world, although in Hoenn and the Sevii Islands, their place is taken by Braille. Unown is a corruption of unknown. Danish Ukendt / Ukendte* Literally "unknown"
Finnish Tuntemattomat* Literally "the unknown"